For anyone arrested for a first DUI after July 1, 2013, Florida just created a way to avoid the main deterrent to refusing to take the breathalyzer test – the dreaded 90-day hard suspension. Now, a person accused of refusing the breath test after a first DUI arrest can avoid the 90-day hard suspension by requesting immediately reinstatement of their hardship privileges. This is a good option for people who cannot afford a private attorney fight the administrative suspension. 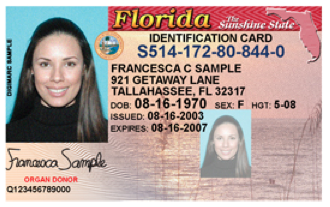 have a driver’s license that is otherwise valid with no other holds that make you ineligible for the hardship. The State Attorneys Office (SAO) in Hillsborough County recently created a new diversion program called the Reducing Impaired Driving Recidivism (RIDR). This program allows a first-time offender to completely AVOID a conviction and even makes them eligible to seal their record after completing the program. You are automatically ineligible for the program, however, if you submit to a breath test blow a .20% or above. How many people blow a .20% or above BAC? Recent DUI statistics released by the Tampa Police Department show that in 2016, 10.3% of the people who submit to a breath test blow a .20 or above. For those 10.3% of people would be far better off refusing to submit because after that breath test they are AUTOMATICALLY not eligible for the new RIDR diversion program. For that 10.3% of people who take the breath test, their case is unlikely to be reduced, they are unlike to avoid the enhanced penalties that come with blowing over a .15, and they will never be eligible to seal or expunge the record. Florida law provides for several enhanced penalties if you blow over a .15. That’s right – the penalties are worse if blow over a .15 compared with just refusing the test. In fact, the fine is $500 to $1,500 higher for a high blow DUI compared with a DUI refusal. Also, if you blow over the .15 the court will order you to install the ignition interlock device installed in your vehicle for at least 6 months. No such requirement exists if you simply refuse to take the breath test. If you look at the DUI statistics published by the FDLE for all of 2012, the average breath alcohol concentration was exactly .150 for more than 38,000 individuals that submitted to the breath tests. In 2011 the average breath alcohol concentration was .148. And if you look at everyone who blew in all of 2012, 56% of those individuals blew over a .15. If 56% of the individuals blew over a .15, then it appears likely the majority of those individuals with a first DUI would have avoided the enhanced penalties by just refusing the chemical testing. Florida’s Intoxilyzer 8000 machines were put into service in 2006. As the machines get older, the chances of an accurate and reliable reading decreases. These machines cost approximately $6,000. Now that the machines are more than 7 years old, repairs are needed more frequently and the repairs become more expensive. Recent budget cuts mean that the FDLE has slashed the number of Departmental Inspectors. 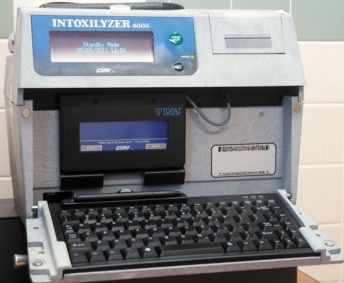 Until recently, FDLE required its Departmental Inspectors to travel at least once a year to the Central Breath Testing Unit (CBTU) of the Hillsborough County Sheriff’s Office (HCSO). The Departmental Inspector was responsible for inspecting the location where the instruments were set up to make sure they were working properly and that all of the rules were being followed. Because of the budget cuts, the breathalyzer machines in Tampa are now boxed up and sent by UPS to Tallahassee for the inspections. Inspecting the instruments at the location where the test are conducted used to be critical and that requirement was eliminated just because of budget cuts. The agencies are also suffering from those same budget cuts. The agencies are now more reluctant to send the machines out for needed repairs. So remind me again… For a first DUI, why would anyone want to submit to a breath test? If you can think of a good reason, leave a comment below. Leslie Sammis is a DUI defense attorney in Tampa, FL. Read more about DUI cases for a refusal. This entry was written by lsammis, posted on September 7, 2013 at 08:23, filed under Tampa DUI Attorney and tagged Tampa DUI Breath Test, Tampa DUI Breathalyzer, Tampa Intoxilyzer 8000. Bookmark the permalink. Follow any comments here with the RSS feed for this post. Post a comment or leave a trackback: Trackback URL. Unless your stone sober, refuse!